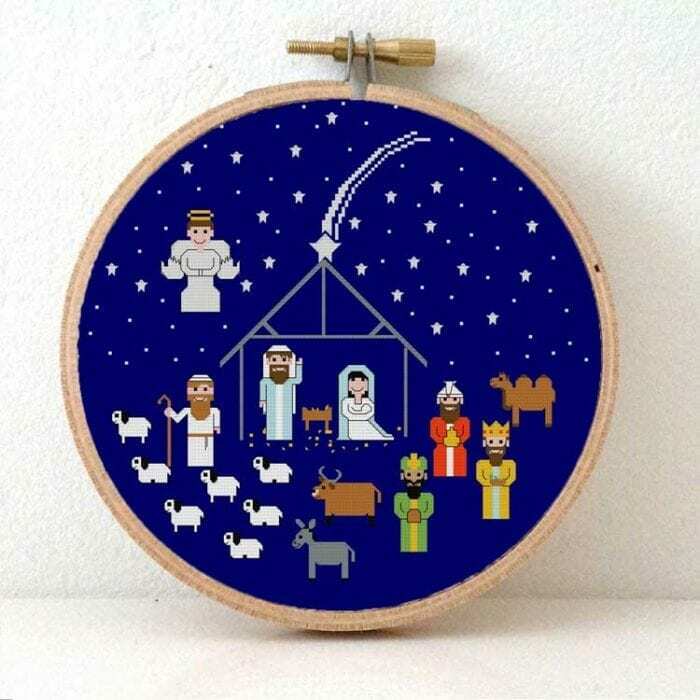 With this Christmas nativity cross stitch pattern you can make a modern cross stitch project that will fit in a 30 cm embroidery hoop. This will make a beautiful Xmas decoration for your home. At the nativity scene you can see Maria and Josef in the stall with baby Jesus. An they receive a lot of visitors. The angel, a sheep herder and 3 wise man with their gifts. The stars and angel can be stitched with glow in the dark floss to make them shine in the dark. • Fabric: use 16 x 16 inch Aida 14 Christmas Blue (~40 x 40 cm). Due to the dark color fabric and the use of glow in the dark floss, this pattern is at intermediate level. 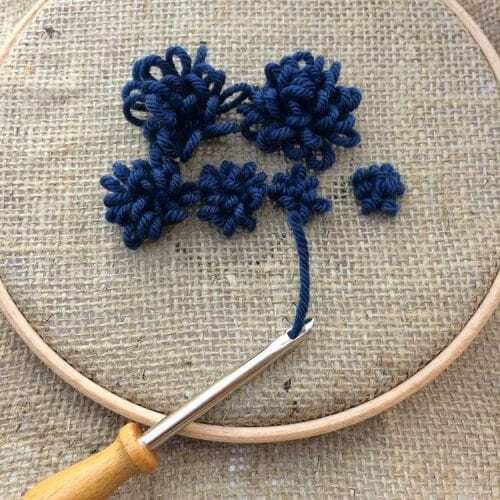 The pattern expects basic knowledge of the cross stitch stitch. Contact us if you would like a beginner version of this pattern. It is easier to cross stitch with glow in the dark floss when you use bees wax. Bees Wax for embroidery. Wax for smoothing your metalic or glow in the dark floss.